Nagarhole National Park, popularly referred as Rajiv Gandhi National Park, in Karnataka is a popular tiger and elephant reserve of India. The forest area was given the designation of National Park in the year 1988. The total area of the protected Park is estimated to be 643 sq. km. The park currently houses more than 270 species of birds. With increasing popularity of Nagarhole National Park each day, UNESCO is considering to include it in World Heritage Sites. Bangalore International Airport is the closest airport to the National Park at a distance of 220 km. Mysore Railway Station which is 96 km away from the National Park is the closest one to it. Tourists can avail car or bus services from major cities like Mysore (96 km), Bangalore (236 km), Madikere (93 km) and Hunsur (47 km). What is Nagarhole National Park known for? Nagarhole National Park in Karnataka is a protected forest that is known mostly for preserving Tigers and Elephants species. By 1955, the idea to preserve the natural habitat around the forests took birth and in that year, it was given the designation of India’s protected Wildlife Sanctuary. By 1988, the area of the park was increased to 643.39 sq. km. and Nagarhole Wildlife Sanctuary was given the status of a National Park. By 1999, because of the presence of numerous species of tigers, the park was declared as a protected Tiger Reserve. Where is Nagarhole National Park located? Nagarhole is a National Park situated in Kodagu and Mysore districts of South Indian state of Karnataka. What is the best time to visit Nagarhole National Park? Ideal time for visiting Nagarhole National Park is during the winter months of November to February as the weather in Karnataka is pleasant and much more suitable than summer months. 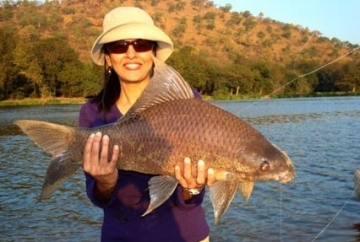 Though, between the months of March to June, when the summer is at its peak, the water sources dry up and the animals come out in search for water and hence during these months, best possible sights of animals are on offer. Note: These charges are mentioned according to Revised Fee Notifications issued by the Forest Department in the year 2011. The charges may change without any prior notification. Birds: Indian Peafowl, Malabar Whistling, Scarlet Minivet, Common Ospreys, Oriental White-Backed Vulture, Herons, Ducks, Greater Spotted Eagle, Lesser Adjutant, Nilgiri Wood-Pigeon, Oriental White Ibis, Darters, Red Headed Vulture, Greater Grey Headed Fish Eagle, Blue Winged Parakeet, White Bellied Treepie, Malabar Grey Hornbill, White Cheeked Barbet, Malabar Whistling Thrush, Indian Scimitar Babbler, Painted Bush Quail, Ashy Prinia, Sirkeer Malkhoa, Indian Robin, Yellow Legged Green Pigeon, Blue-Bearded Bee-Eater, etc. Reptiles: Common Toad, Common Wolf Snake, Common Vine Snake, Rat Snake, Russell's Viper, Bamboo Pit Viper, Common Krait, Indian Monitor Lizard, Indian Rock Python, Mugger, etc. Mammals: Tiger, Wild Dog, Leopard, Hyena, Indian Pangolin, Deer, Barking Deer, Sambar, Four-Horned Antelope, Wild Boar, Gaur, Elephant, Common Langur, Bison, Bonnet Macaque, Slender Loris, Jungle Cat, Leopard-Cat, Mongoose, Civet Cat, Giant Flying Squirrel, Common Otter, Giant Squirrel, Porcupine, Mouse-Deer, Jackal, Pangolin, Hare, Asian Elephants, Grey Mongoose, Striped Hyena, Common Palm Civet, Chital, Brown Mongoose, Black-Naped Hare, Striped-Necked Mongoose, Mouse Deer, Sloth Bear, etc. Are there any other attractions in and around the National Park? Kabini River: This is an exquisite spot in the park where numerous herds of elephants can be seen during summers. Kabini Reservoir: At this point of the park, one could see otters and gaur. Kabini Lodge Boat Ride: This lodge nearby the serene rivers offers a chance to go on boat safari through the park. Nagaraja Game Road: This creepy, mysterious and dark location must be visited in the evenings to enjoy the sights of muntjac. Mastigudi: Drive out from this location gives views of wildlife that makes one feel as if he/she has traveled to Africa. Observation Towers: There are several observation towers inside the park from where amazing wildlife views can be captured. 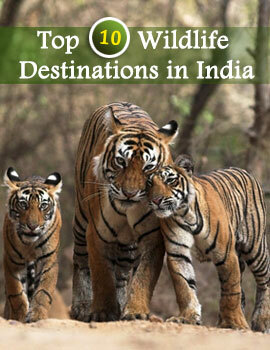 Can you tell me where I can stay while visiting Nagarhole National Park? The Forest Department has made sure that tourists who visit the National Park on a regular basis find never find themselves with shortage of accommodation facilities nearby Nagarhole National Park. There are several forest run wildlife resorts and lodges which are ideal for staying when on a tour to this part of the country. The idea of staying so close to forests, minutes away from wildlife, is very exciting in itself. Tourists also get to enjoy the exotic views of the Forests which us an unforgettable experience. Most of these resorts also arrange for Private Jeep safari inside the parks so that they can have an amazing time. 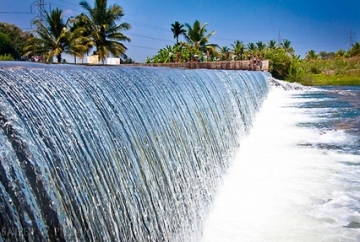 The most popular choice among tourists is Kabini River Lodge which plans jeep safaris, elephant rides and boat safaris for the guests inside the National Park. 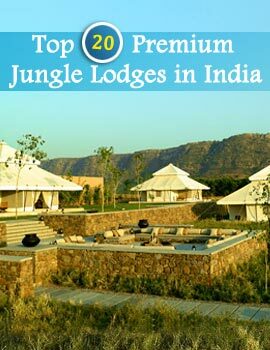 The Jungle Inn, Kings Sanctuary, Spice Garden are some of the other major popular choices among wildlife enthusiasts. Any last minute tips before I visit Nagarhole National Park? 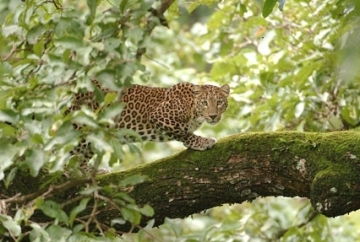 For getting the best available deals on Nagarhole National Park tours, visit Indianholiday.com. Teasing, harming or hurting any flora and/or fauna specie(s) is considered as a very serious offence. One must be aware not to keep any sharp object while on jungle safari. Tourists must be patient during safari for availing the best possible views of wildlife species and surroundings. It is advised to reach for morning safari as soon as possible as the roads might be blocked by elephant in later hours. One must always check if the camera batteries are charged and keep a safe pair of batteries, to use if/when required. If one is interested in trekking in the forests, then he/she must avoid monsoon seasons when floods and leeches make trekking activity almost impossible to do. Private Jeep Safaris are allowed after availing special permission from Forest Officials. Park might remain close for the most part of July to October because of heavy rainfall and hence one must confirm from Forest Department before planning a tour in these months.